So, you’re doing a wine tasting involving multiple bottles to compare. Maybe it is a dinner party, maybe you’ve decided to compare a couple of bottles at home, maybe it is a wine club you are running with friends. Maybe you just want to learn more about wine – by tasting wine (by far the most common advice from wine writers about how to learn is to “taste lots of different wines” – however I would challenge that by saying “compare lots of wines and consider what might be causing the differences between them”). What to taste? What to compare? How can you maximise the experience? How can you get the most out of it? How can you optimise for enjoyment, learning, curiosity, fascination, fun? How can you develop your ‘palate’ as well as your knowledge, while enjoying some wine? This is where simple comparative tasting comes into its own. Comparative tasting techniques have been used by the food industry for decades in consumer ‘focus groups’ and the like. A comparison of two or more carefully chosen samples is a really effective way to identify differences and similarities on the ‘palate’. For example, a company might want to identify the best combination of flavour, sugar and salt in a new sauce they have developed. They will prepare a few almost identical samples, but with only one difference between each sample (e.g. 3 almost identical sauces with a different amounts of salt in each). The testers then taste each and give feedback. Those who set up the experiment will know that the only difference between each is the salt level, and they can identify an optimum salt level for their sauce. what flavours a north-facing vineyard of Pinot has, compared to one that gets less sun exposure. Comparative tasting helps us make the connection between what we read on the bottle (‘input’) and what we smell and taste in the glass (‘output’). Now you would get two identical wine glasses, pour a tasting-sized sample of each and compare them. Look at the colour against a white background, swirl them in the glass and smell them one by one, taste them and think about the sensations they each produce over time in your mouth. Maybe one has a deeper colour than the other. Maybe one is more aromatic than the other. Maybe one is more sour or has more ‘bite’. 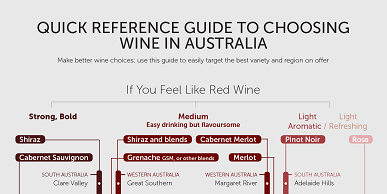 Whatever the main distinctions are, you can link them in your mind to the only difference between the wines that you know from the label (in this case, the grapes were grown in different years and therefore under different weather conditions). Chances are, the difference between the wines in the glass is mostly due to the difference between the weather conditions in the vineyard between those years. If you have some basic information about those vintage conditions – bingo! You have learnt something about wine that you won’t forget, and that you would never have learnt otherwise. What about comparing wines with more than one difference? Two wines from the same producer but from different price-points (in this case, it may not be obvious what the ‘input’ differences are). The most important thing is to be aware of what the major differences might be, and keep them in mind when tasting the wines. Now it is over to you. Try buying some wines for comparison, taste them next to each other and see what differences you come up with. Let me know how you go and feel free to ask questions. I’d be interested to find out what you think. Send me an email via the contact page.